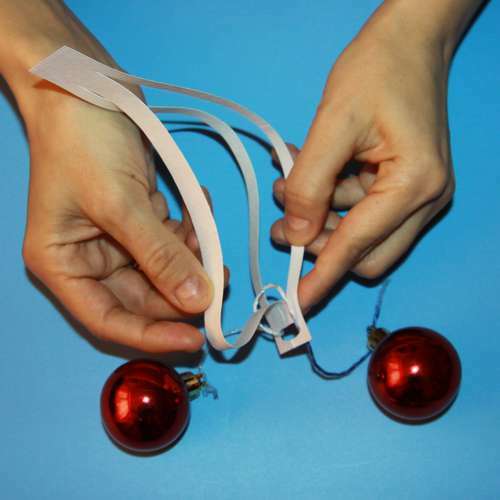 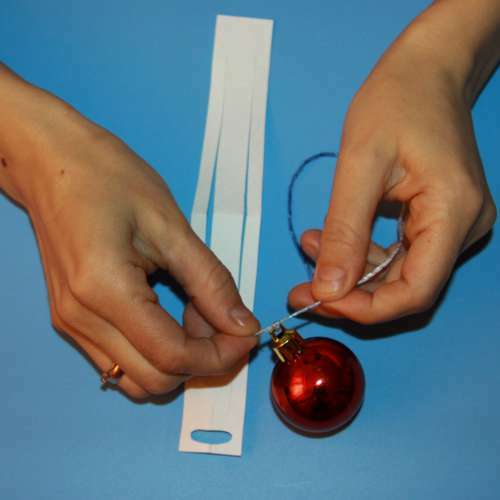 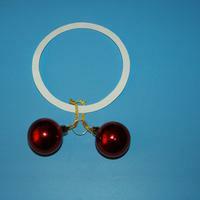 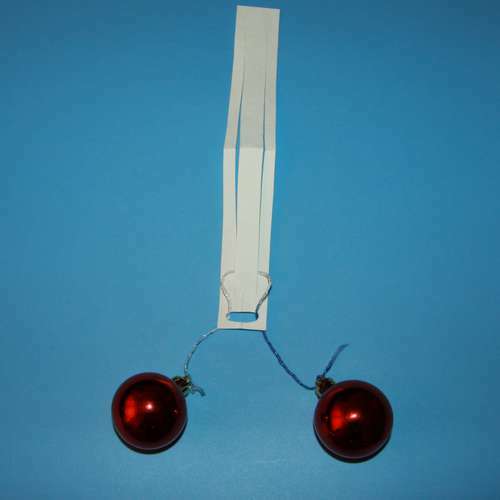 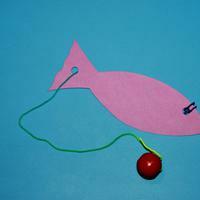 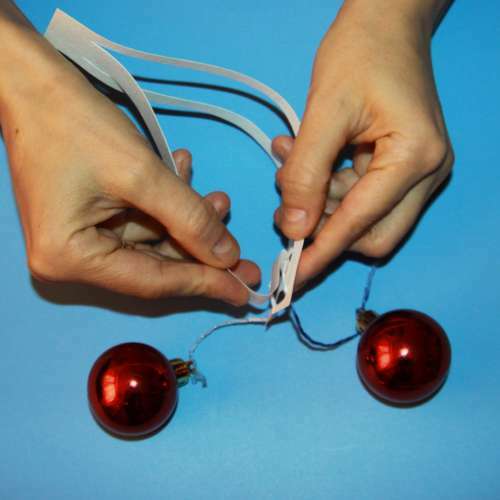 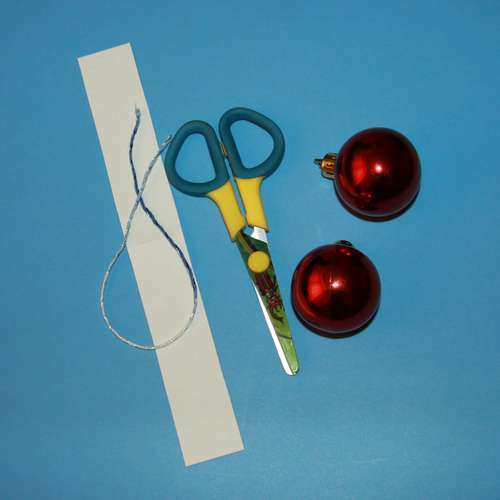 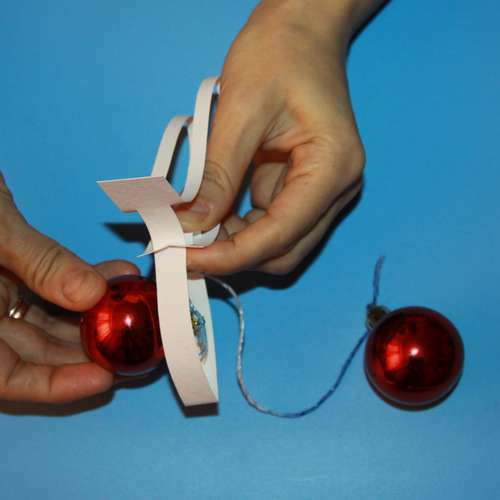 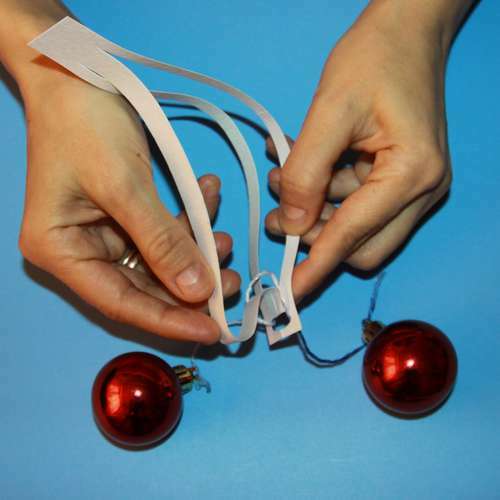 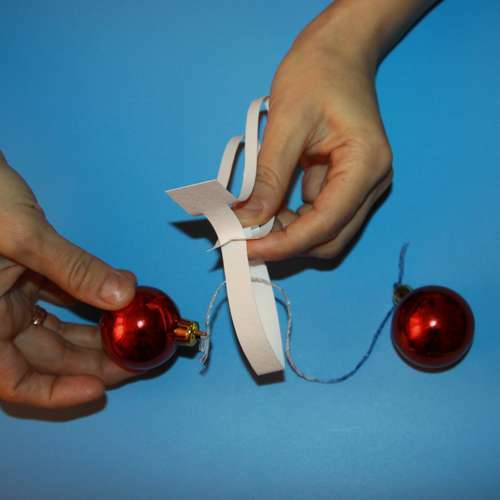 Step 1: You will need: a strip of card stock, scissors, thread and two tree ornaments (or large buttons). 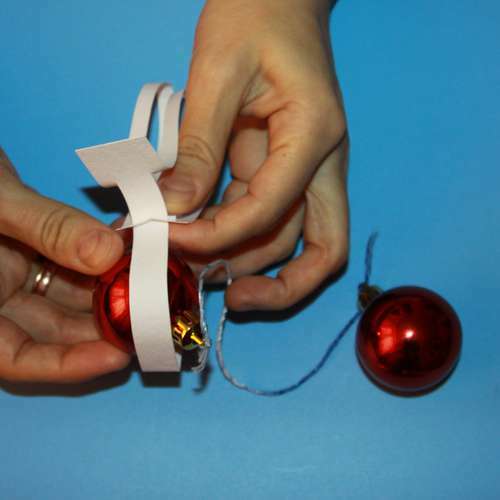 Step 2: Begin preparing the puzzle. 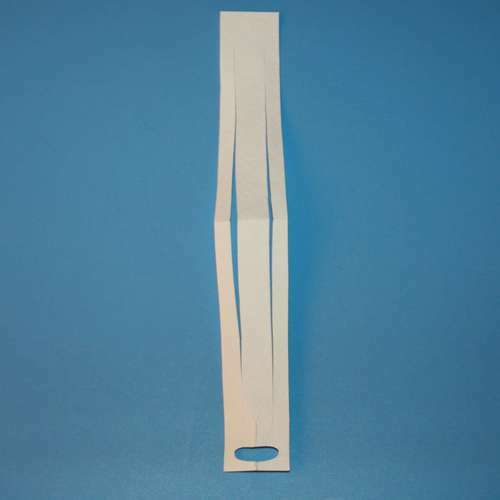 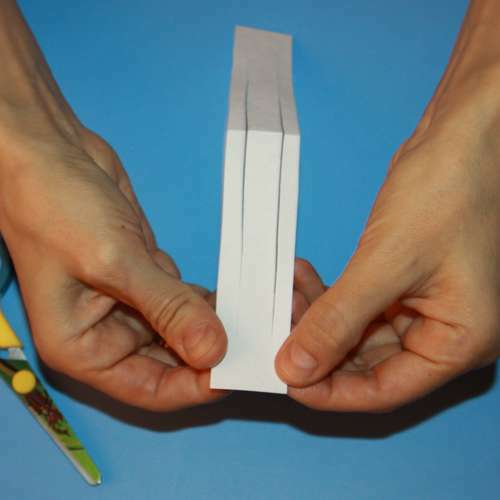 Fold the paper strip in half. 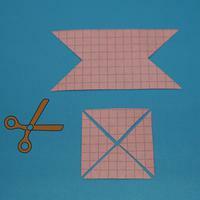 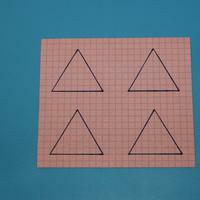 Step 3: Starting a bit in from the side, cut from the folded edge to about 1 inch (2cm) from the opposite end. 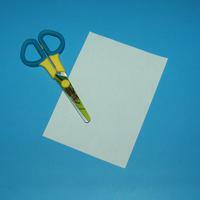 Step 4: Make an identical cut on the other side. 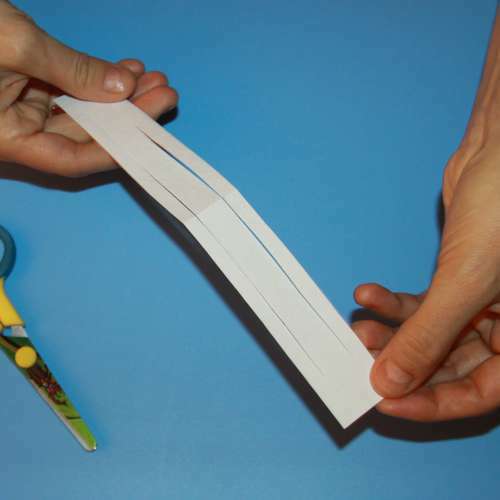 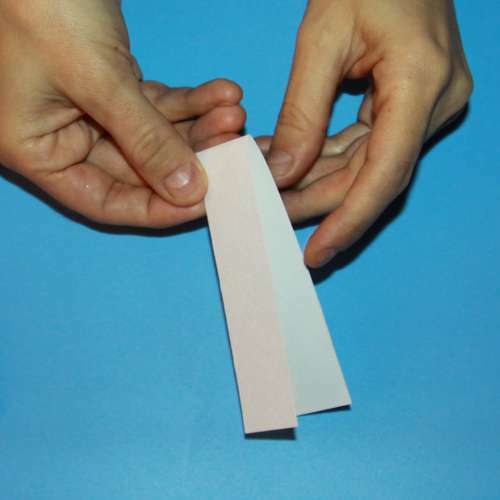 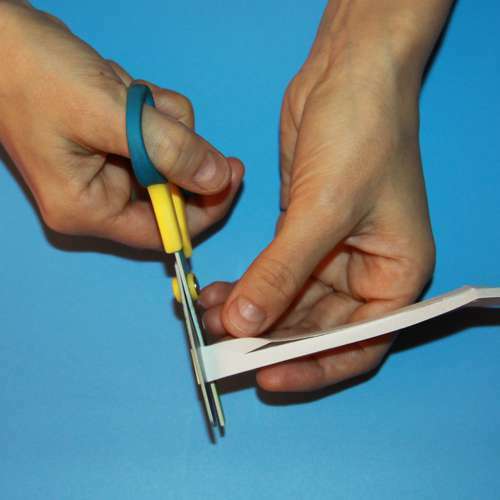 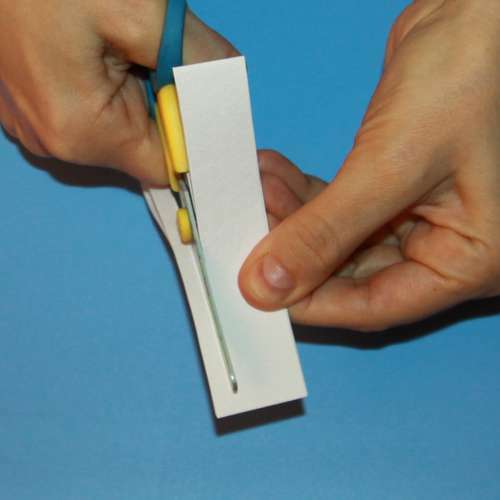 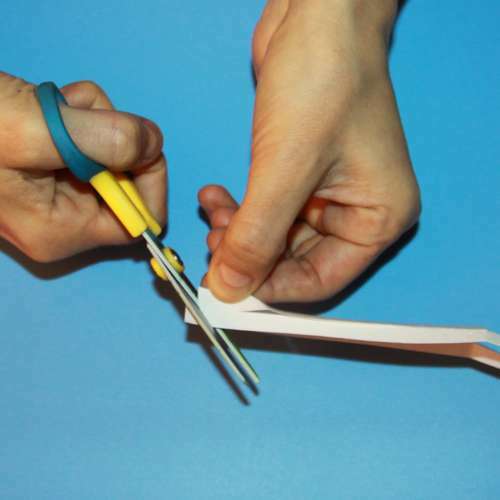 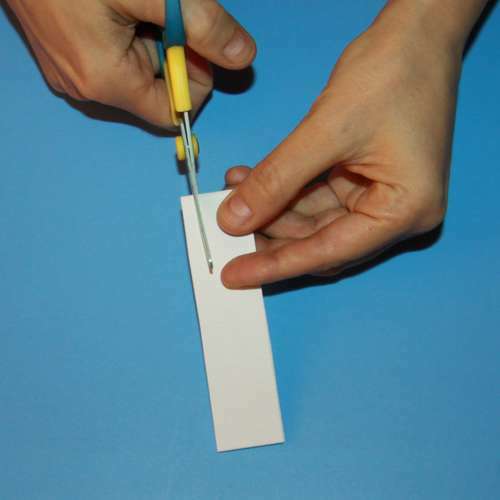 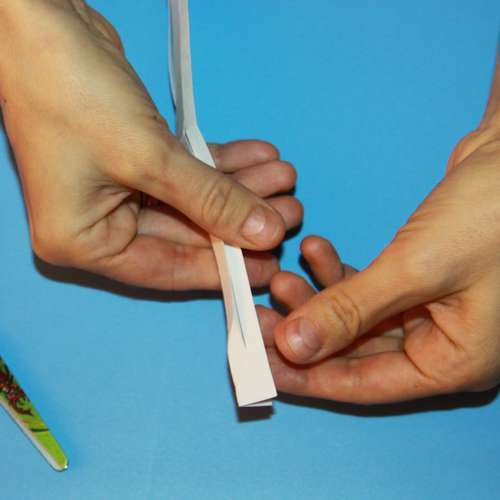 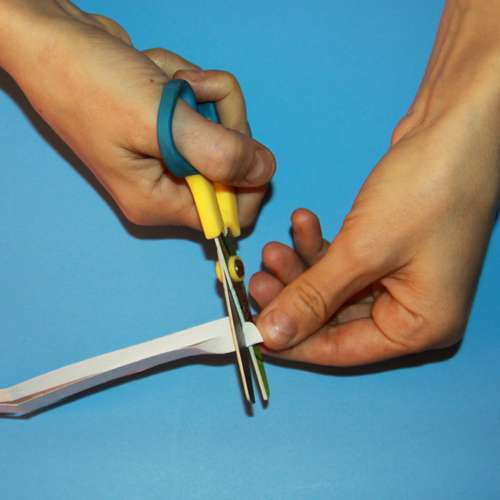 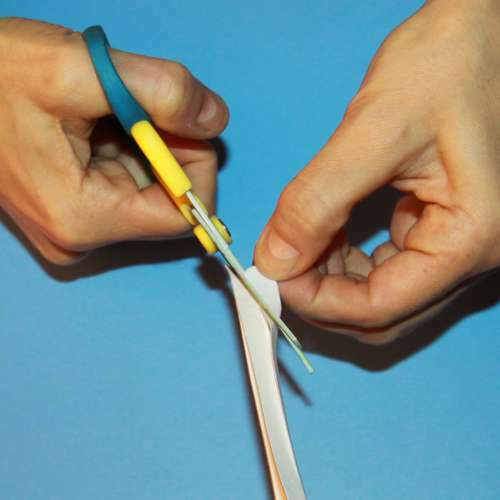 Step 6: Fold the paper strip over lengthwise. 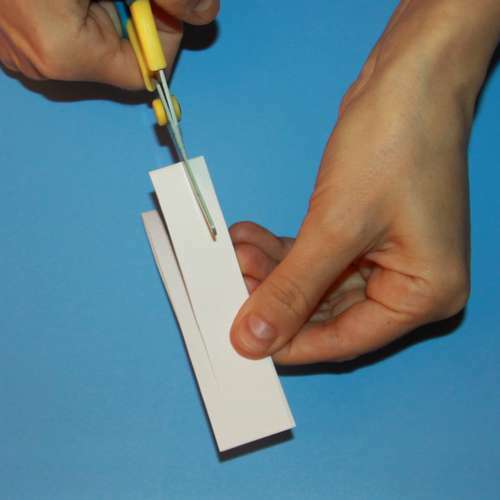 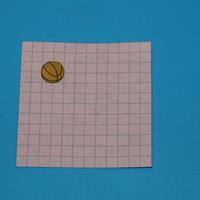 Step 7: Cut out a small hole. 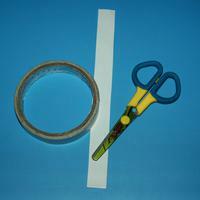 The hole should be a bit wider than the distance between the previously-made cuts. 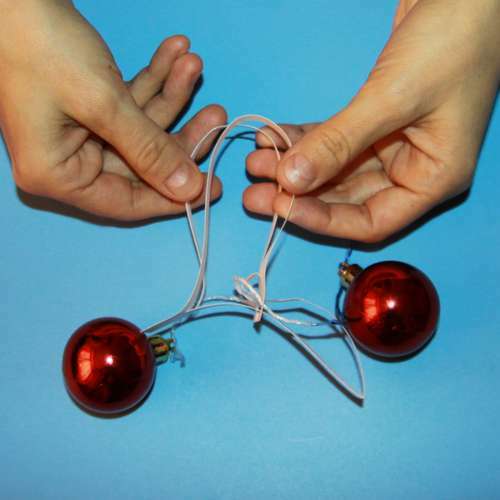 Step 8: It should look about like this. 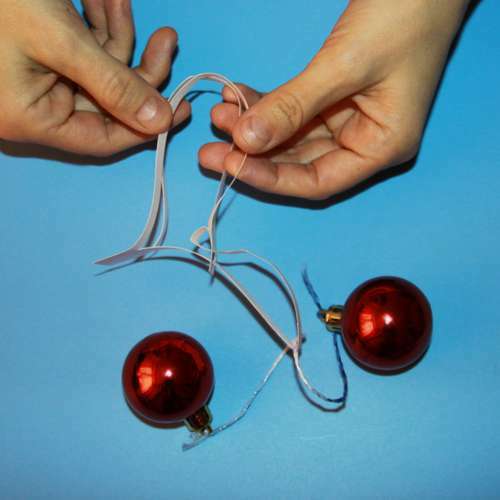 Step 9: Tie the thread to one of the tree ornaments. 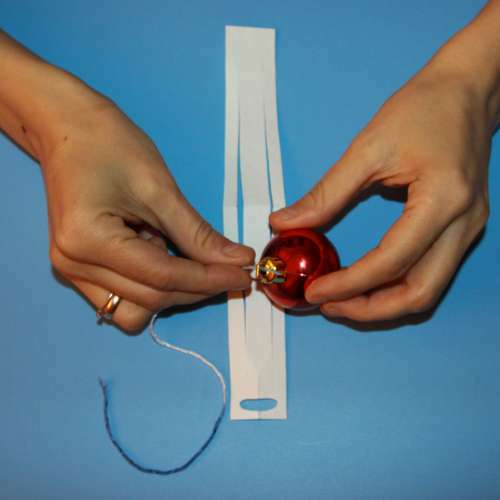 Step 10: Pass the thread through the hole from back to front. 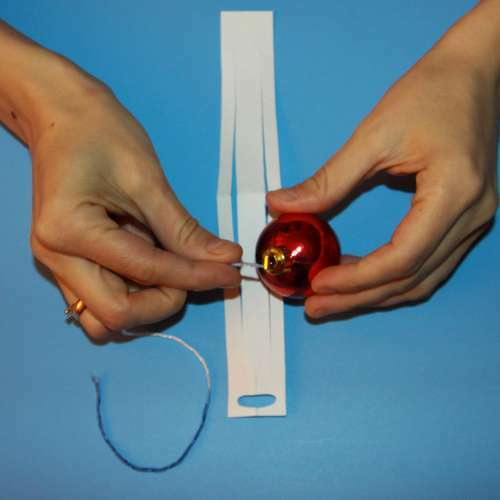 Step 11: Pass the thread through both slits. 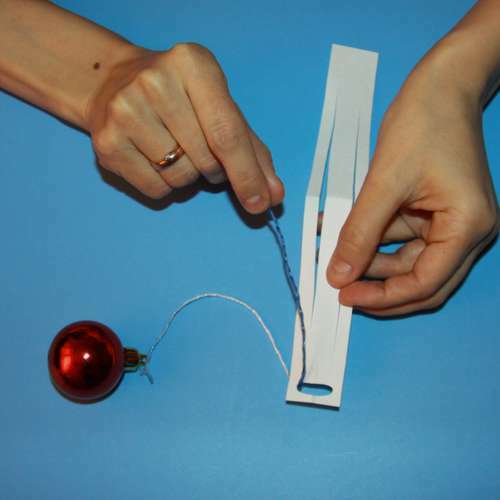 Step 12: Now slip the thread through the hole again, this time from front to back, and tie it to the other ornament. 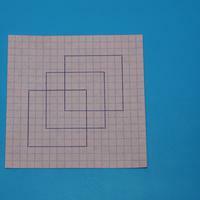 The puzzle is now ready! 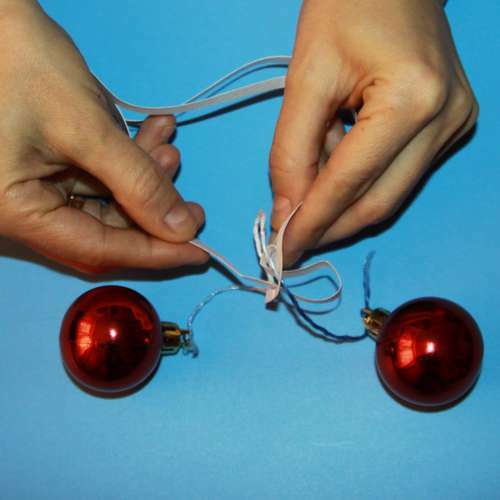 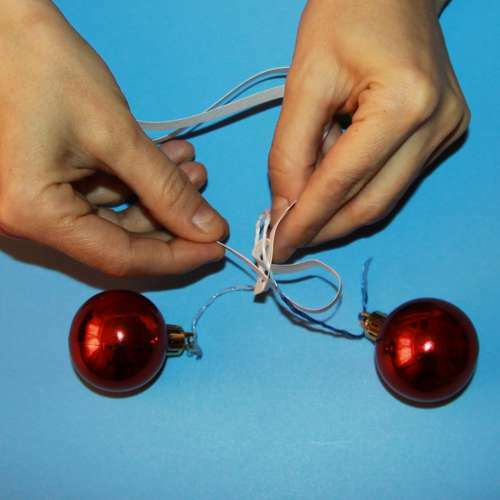 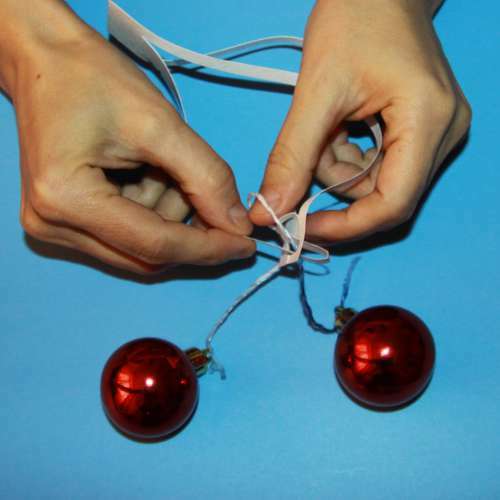 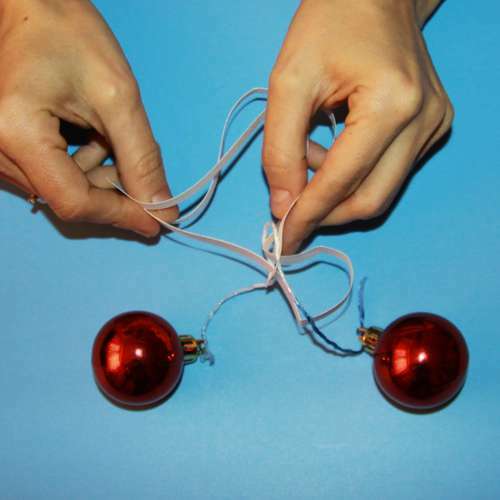 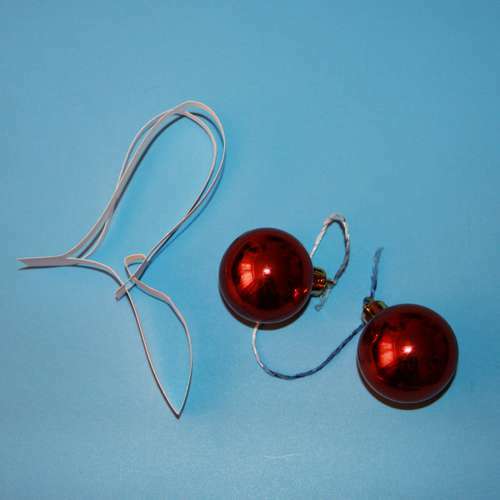 Now try to free the ornaments without untying the thread. 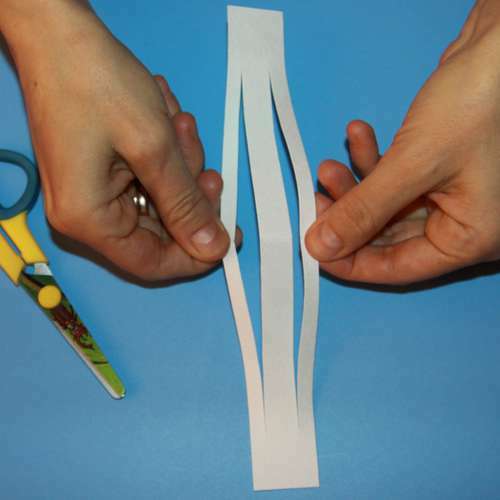 Step 13: Take the center strip, bend it and pass it completely through the hole. 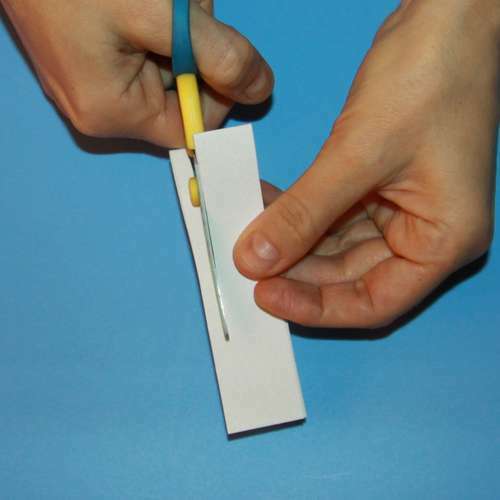 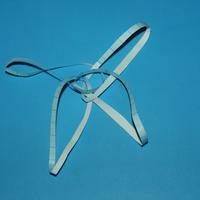 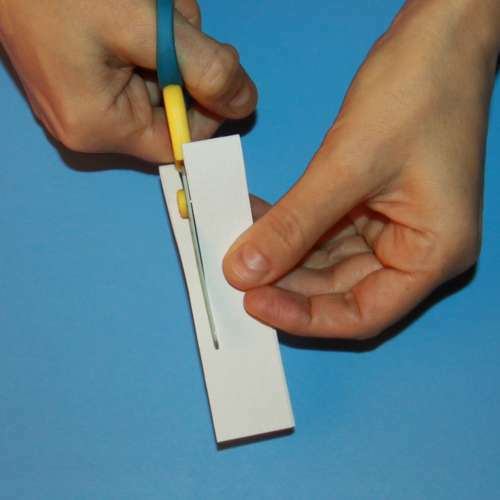 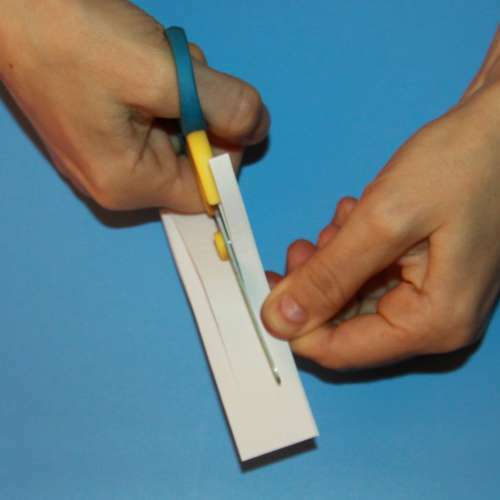 Step 14: Slide the thread toward the bend of the paper strip. 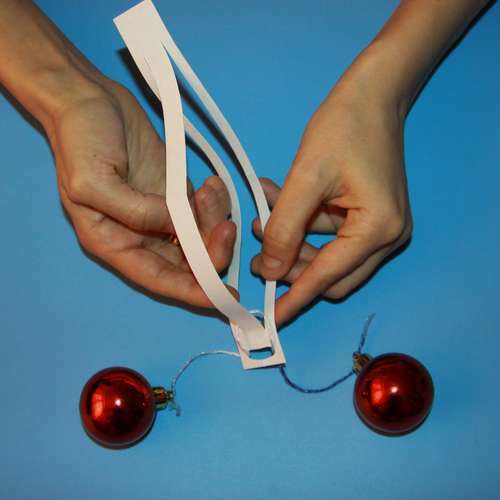 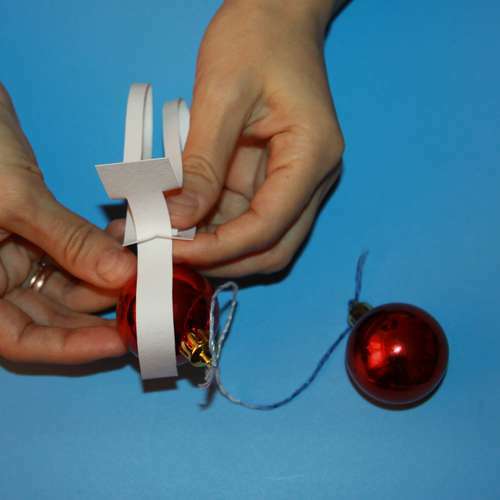 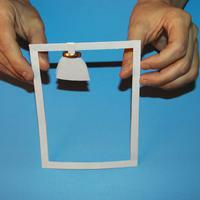 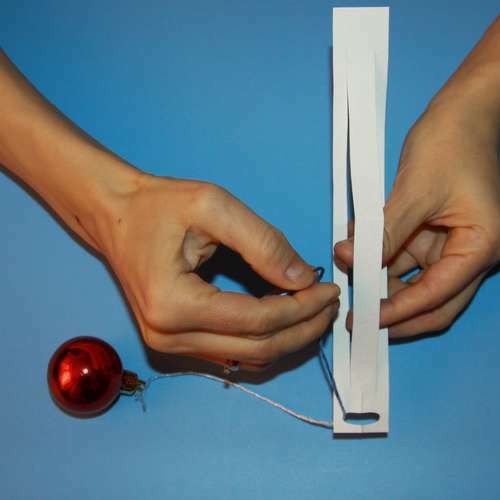 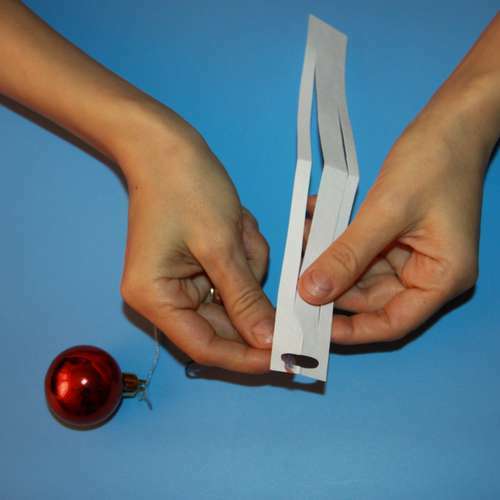 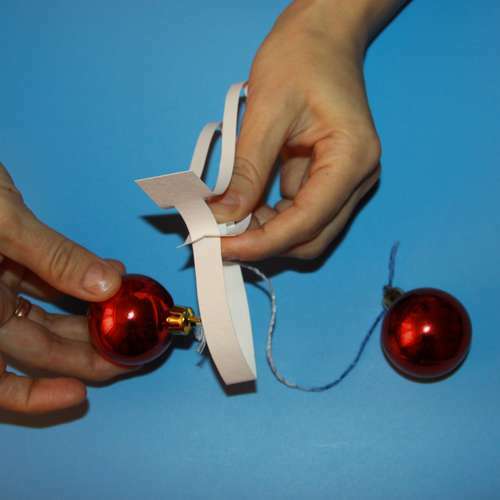 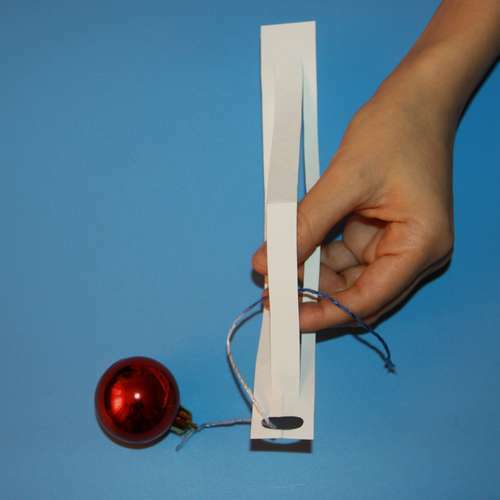 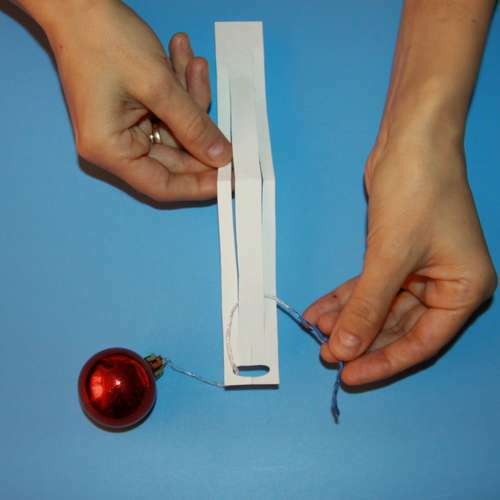 Step 15: Pass the ornament through the opening you just made.